With employee engagement topmost on the minds of CHROs and senior leaders alike, innovative employee rewards and recognition strategies consistently top the charts when it comes to retaining and engaging the workforce. We know that engaged employees are the backbone of all successful organizations – they are resilient in the face of shifting environments and overcome periods of adversity despite the odds. How committed your employees are to your company’s continued success will be the principal determinant of whether your organization can withstand a challenging market. However, India’s employee engagement setbacks are severely affecting its workforce’s productivity. According to a Dale Carnegie India survey, less than a third of employees in India were satisfied with their senior management, while 16% were out-and-out displeased with their leaders. This is most likely due to an inconsistent, less-than-ideal approach toward developing and implementing effective engagement solutions. Barring a few champions, most organizations typically implement a few ad-hoc steps and then neglect following-up to assess efficacy or impact. The intent is not enough – CHROs and senior leaders alike should ensure that employees are noticed, listened to, recognized for their contributions. Those individuals who show great promise and potential should be assured that they will eventually be considered for a leadership succession pipeline. The foremost HR goal for any business leaders should be to not only drive employee engagement in the workplace but also to ensure it becomes an everyday agenda for all. Positive reinforcement is by far one of the best, most straightforward ways to up employee happiness, motivation, and engagement. Building on an employee’s strengths is simply far more impactful than criticizing weaknesses. 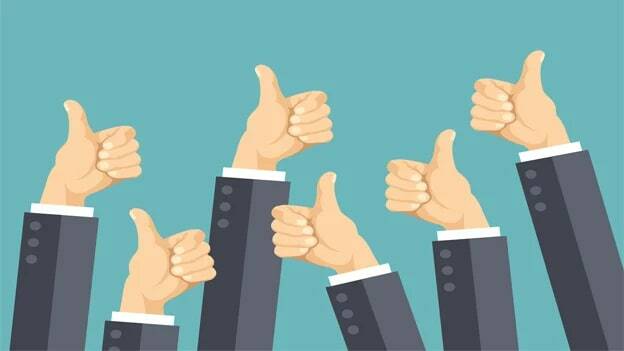 Recognition for doing the job right increases the likelihood that an individual will continue to strive toward building a dramatic impression on the company. There should be no cap on acknowledgment or praise. Consistent communication is also necessary in order to keep your employees engaged. Teams whose managers hold regular meetings are much likelier to have higher engagement scores as compared to their counterparts. If, as a manager, you make your team feel comfortable and considered, your team will return this goodwill tenfold in the form of discretionary productivity and innovation, as well as alignment to your company’s culture. According to Dale Carnegie’s ‘Igniting Millennial Engagement’ study, this key demographic is significantly likelier to be engaged than their older colleagues, with one of their caveats being ‘a desire for full disclosure and transparency.’ They want to be appraised of the organization’s goings-on and be treated as an equal stakeholder in its challenges and achievements, no matter how big or small. It is vital for them to know every detail in order to see the whole picture and thereby make informed career decisions. A rewards and recognition strategy that openly and wholly recognizes team member achievements ties into the millennial need for transparency, and is one of the many arguments for integrating such a program into an organization’s culture. At Dale Carnegie India, we have implemented a mechanism to do just this through our brand new recognition program, the Champion’s Passport. Each employee is issued a blank passport which allows him or her to attain recognition under specialized criteria. These are individual achievements, performance, demonstrating our core values, special recognition (like the employee of the month), participation in CSR initiatives and continuous learning achievements to name a few. It allows for on the spot recognition and just in time recognition, by both peers and managers. For each recognition, an employee’s passport will be stamped, and those with the maximum stamps will be recognized periodically and awarded at the end of the year. Several organizations are conceptualizing a great employee experience simply by aiming to see the world through the eyes of their employees. This is easily accomplished by staying connected with the workforce enough to be aware of their milestones and areas requiring support. HR leaders the world over are leading this effort by partnering with heads of all departments to create a unified employee experience. Indian HR leaders are increasingly claiming employee experience’s importance to their organizational success, with growing numbers saying they are increasing investments in training, refining office spaces and reassessing the number of rewards being given out. Every organization needs its own distinctive development plan based on research findings relevant to its own industry. Management needs to understand how engaged employees are distributed by department and location, the factors that enhance engagement, and those that diminish it. With this knowledge, senior leaders can develop an engagement action plan targeted at the individual, departmental and organizational levels. NEXT STORY: Is Skill Development the Right Choice?